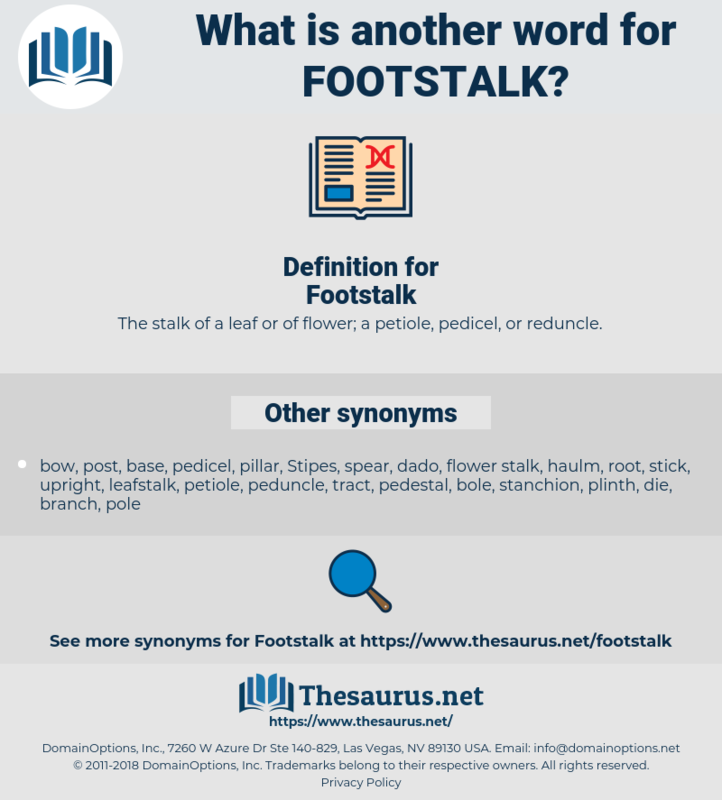 What is another word for Footstalk? 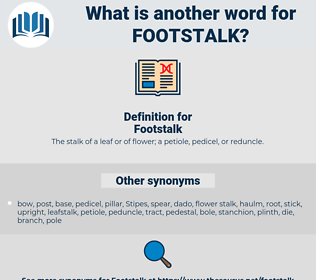 The stalk of a leaf or of flower; a petiole, pedicel, or reduncle. The Italian iron is a hollow tube, smooth on the outside, and raised on a slender pedestal with a footstalk. Of these, 181 had been drawn into the burrows by or near their tips, so that the footstalk projected nearly upright from the mouth of the burrow; 20 had been drawn in by their bases, and in this case the tips projected from the burrows; and 26 had been seized near the middle, so that these had been drawn in transversely and were much crumpled.